Gage Roads are looking to step up their presence on the East Coast with the construction of a brewery and venue in the inner-city Sydney suburb of Redfern. It will be the second production facility for the Western Australian brewery and is expected to be completed in early 2020. The 578 square metre site will feature a small production facility as well as a 250-person hospitality venue, with Gage Roads expected to invest $3 million in the project. 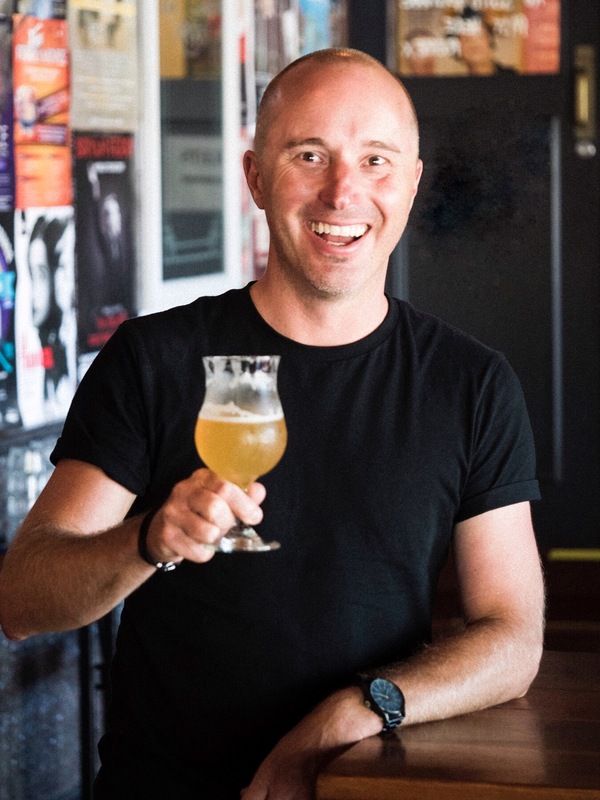 National marketing executive Miles Hull told The Crafty Pint: "This Redfern site is one that presented itself quite quickly to us an opportunity. We really love the history and culture that’s evolved over the years of Redfern. It’s certainly an emerging inner-city area with a define cultural feel. "It has a real mix and diverse population in the area which we really love. It has a really creative spirit and free spirit which we think works really well to provide a home for our brewery." The development of the Regent Street site in Redfern aligns with Gage Roads' 2016 "returning to craft" strategy announced in 2016. 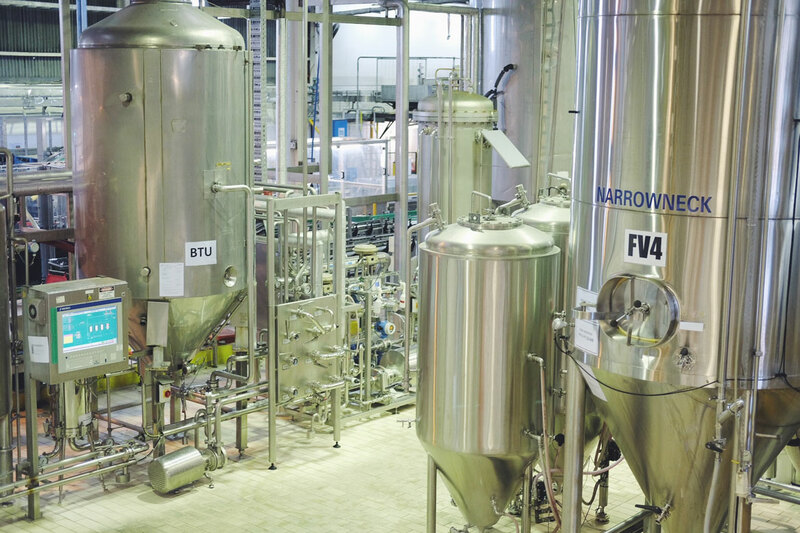 Since then, the publicly listed company has bought back Woolworths' 25 percent stake in the brewery, won Champion Australian Beer at the 2016 Australian International Beer Awards for Little Dove, secured a number of high profile partnerships, including pouring rights for the Optus Stadium in Perth, and started exporting beer overseas. Following the acquisition of Matso's brewing company, Gage Roads also launched Good Drinks, a new banner for the sales and marketing team now responsible for all of the company's brands, including Alby lagers and Hello Sunshine cider. According to Miles, the Redfern brewery will be involved in launching new brands and other East Coast projects. “We are looking to the future and looking for ways that we can build up our own brand and launch new brands," he says. "Part of our growth strategy is about growing in the East Coast of the market and we recognise that being local and having a local element is really important and also having a place where consumers can come an interact with the brand is important as well. “We have a strategy on the East Coast to looking at potentially a number of breweries with production a capacity but also a taproom attached to it where you can connect to the local market where people can experience and taste your products." Of the Redfern site, he says: "From a hospitality component and brewery taproom, it really works. We’re quite excited by this being an inner-city, urban space and it will actually launch a new brand for us and will be the home for that brand. It will be a new product sitting slightly separate to Gage Roads but will be distributed by our sales and marketing arm, Good Drinks." Gage Roads' Palmyra site will remain the brewery's main production facility. Miles says the brand that will be based in the Sydney will be launched in the coming months – before the brewery and taproom are open – and, beyond that, the intention is to continue to broaden their portfolio of brands. While details of the new beers are yet to be released, he said they will be available in cans; to date, the only Gage Roads beer to be released in cans has been a limited release of Single Fin. “Having Single Fin in a can has opened up the opportunity for us to supply a lot of events where a can is required," Miles says. 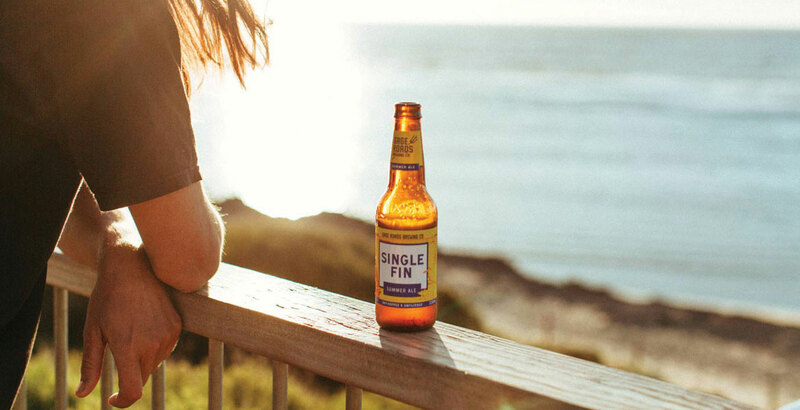 "It provides an opportunity for on-premise sales in a loose 24 pack that eliminates the need for inner packaging. While the lease has been signed, the specifics of the Redfern brewery are still in the design phase, with much contingent on council and liquor licensing approvals. “The building itself is an old warehouse, which obviously lends itself quite nicely to a brewery," Miles says. "It will have a production facility feel to it so you’ll be able to see, smell and talk about the products that are made there." The size of the warehouse means the new setup won't feature a large-scale production facility, but will give them capacity to brew a number of limited releases available through the venue itself. 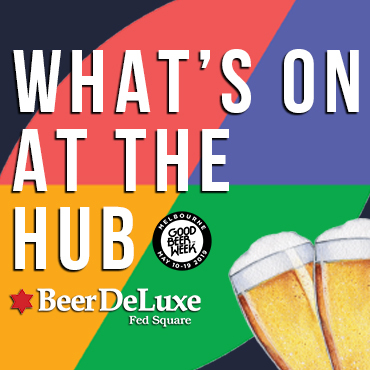 "Part of the plan is that we have the core range of beers and that we have a range of limited releases that we’re selling in the taproom that allows consumers to come in and there’s always something new on for them to try," Miles says. "It also allows us to keg draught beer for the local market as well. "We are certainly open to having a small pack line on site and we might do some limited release packaging from there. It will continue to work in partnership with our Palmyra based brewery from a production point of view." Sydney is just part of a grander plan for the East Coast. He says they are "equally interested in the Queensland and Victorian markets as well, and are actively looking", while the company has brought in Stew Wheeler as general manager of hospitality. His most recent experience includes developing Little Creatures venues throughout Asia, London and San Diego for Lion. Despite ongoing market speculation, Miles was quick to quash talk of future acquisitions. “We’re not actively looking for other brewery acquisitions. Matso's was a really great, organic opportunity that was presented to us, having made Matso's for the family that previously owned it for near on ten years," he says. "The Good Drinks platform does allow us to have other brands but we’re not on an active hunt. It’s not part of the immediate plan, nor are we seeking acquisitions. If something presents itself and it lines up to our strategy then terrific in terms of acquisitions but it’s not something that we are actively seeking." And, despite entering the export market, he says their main focus remains on the Australian market. “As opportunities arise and there is opportunity for us to send beer overseas then it’s a nice thing to do but it’s not something that we’re pushing hard on," he says. "I think you can see a number of craft breweries from Australia doing a bit more internationally. We’re happy to look at those opportunities where we have a good distribution partner, if and when they come up in particular markets but we’re not we’re not out there pounding the international footpaths at this stage. "Our number one strategy is growing here in Australia, building continuously in WA and on the East Coast." About the author: Guy drinks and writes about beer, goes for a run most mornings and makes his own chilli hot sauce. Find out more on Goodtimes Craft Beer via Facebook and Instagram. For me, beer writing is about sharing experience with others, most of which is as much about what happens around the glass as what’s in it. It’s why I started a blog in 2014 after years of drinking beer and through quite literally bumping into founder James Smith at Good Beer Week began writing for The Crafty Pint. Many amazing friendships have developed from the love of water, malt, hops, yeast, adjuncts and hype! Early 90s experience with Dogbolter and bottles of Delirium Tremens at the Sail and Anchor proved that there was more to beer than the cheap stuff I was drinking. A few years later, Chimay Blue once again teased before Little Creatures Pale Ale and Feral Hop Hog set the course for beer with flavour and nuance. Balance and drinking context are key but a short list includes Brett saisons, super fresh West Coast IPAs, well constructed BA sours, BA imperial stouts and fresh India pale lagers. Depending on the beer and circumstance, bitterness and acidity are the hurdles to overcome. Right now, Eagle Bay’s IPL is a great modern expression of technique and approachability. The hop presence arrives in soft mango and lime with enough bitterness but it’s the tight carbonation and refreshingly super dry finish that seals the deal. Boston Brewing’s Afterglose: Raspberry gose brings a near-perfect fruit / salt / acidity balance to a vibrantly coloured beer. It’s a real talking point which can lead to conversation about the history of beer styles, acidity on the palate or just: "Do you want another one?" Any fresh Czech-style pilsner. This has to be fresh in order to pick up the grassy noble hop characters and zippy bitterness on the slightly more biscuity malt body. While familiar to many, a really fresh expression is great starting point for a massive world of beer. A favourite beer memory involves spending an afternoon sitting under the dripping eaves of a café in the 5th Arrondissement watching Parisians run in and out of a bakery with fresh baguettes while I drank large goblets of Duvel as the winter rain soaked the tiny cobblestoned square. So much about beer is context!